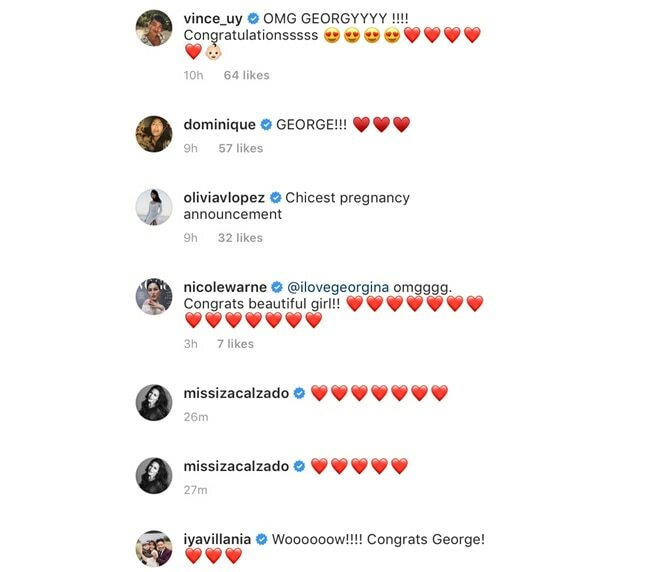 Georgina Wilson’s friends congratulate her on the upcoming addition to her family. 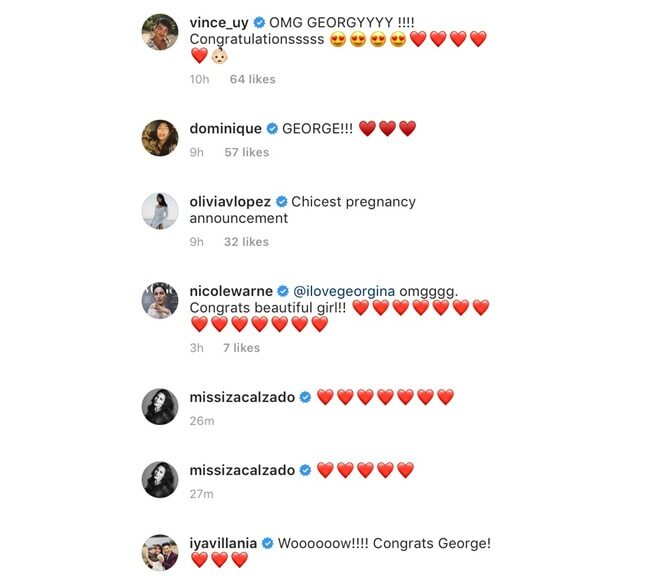 Georgina Wilson happily shared on Instagram that she is expecting another baby. 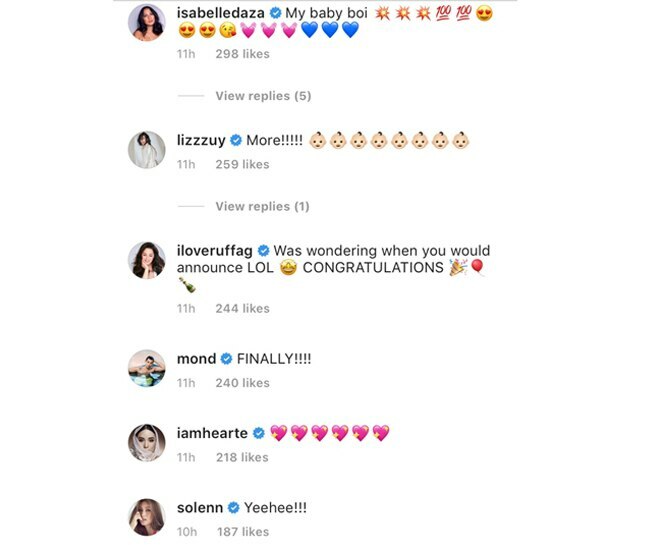 She shared a photo of herself with a baby bump and wrote, “Another adobo loving baby coming right up.” Her close friends soon sent in their congratulatory messages. 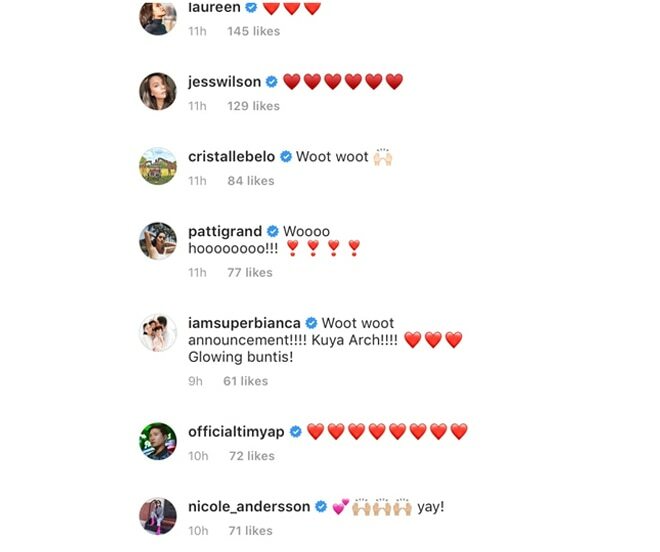 The “adobo loving baby” reference came from the viral photo of her firstborn Archibald who cried when asking for adobo. 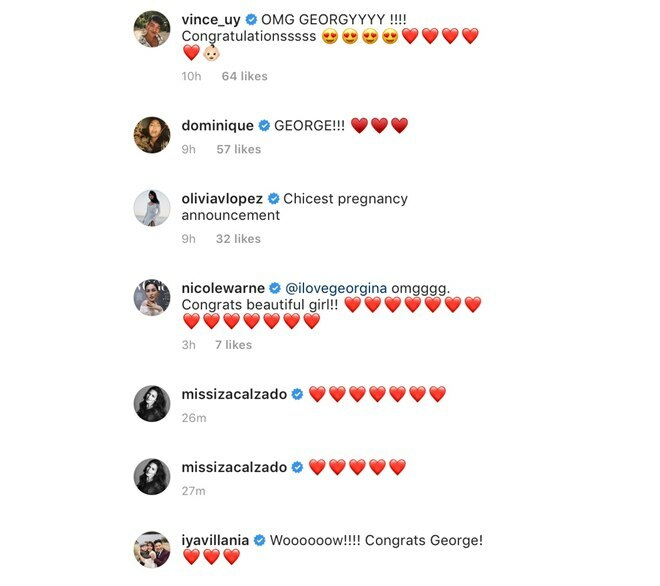 Georgina married British businessman Arthur Burnand in 2016 and gave birth to Archie at the same year.